Red Roofs is a spacious and rambling family home in a beautiful and peaceful location with superb views across Hickling Broad. Full of a comfy mix of old and new furnishings, the rooms are all spacious, light and airy and can very easily accommodate 8 guests and their dogs. The house is detached with a HUGE, enclosed back garden, all grass! Access to the house is along a private, single track, just across from beautiful Hickling Broad and the thatched boat houses. Both village pubs are dog friendly and within easy walking distance – The Pleasure Boat and The Greyhound. Guests are welcome to bring their own boats by arrangement for sailing on the Broad and the house has its own dinghy available in the Spring (after Easter) and Summer months, moored up opposite the house. Older people and dogs will find it easy to holiday at Red Roofs, the majority of rooms are on the ground floor and it isn’t far to potter out into the garden or down to the water’s edge from the front garden. The back garden is fully enclosed and gated to help prevent any unscheduled pottering down to the water’s edge! When you get here: Red Roofs is the fifth house along the unmade private road that is Hill Common, directly opposite the thatched boat houses. Park on either drive down the sides of the large grass front garden and access is through the front porch into the…. Dining Room: Large room with big bay window looking onto front garden, mahogany table with additional table to provide more seating. Side boards and well filled book case in this room plus high chairs if needed. Out into the hallway and into the …..
Bathroom: Bath and separate walk in shower, toilet. Modern fittings, bright and roomy. At the end of the hall there is the …. Sitting Room: Large well lit and comfy space with French doors opening out onto the front garden, squidgy sofas and solid oak furniture. TV, DVD and video. Open fireplace with a plentiful supply of free coal and logs. Beyond this are two bedrooms…. Twin bedroom: Twin bedded room with storage space and view across the front garden. Twin/kingsize bedroom: Twin beds with the option of turning into a king size double. Patio doors leading out to the front garden. On the second floor there is the…..
Master bedroom: Very large room with superking size bed which can be made into two full size singles. Plenty of cupboard space, chair, built in dressing table. Fabulous views over Hickling Broad and the thatched boat houses. Second floor bathroom: Bathroom with large, deep bath, overbath shower with curved screen. Toilet and sink. Outside: To the back of the house there is large grass garden, fully fenced and hedged. Garden furniture and barbecue. A range of sheds run along the back of the house containing coal and wood for fire. Tesco, Sainsbury, Asda and Waitrose all deliver to Red Roofs, so if you want to arrange for a delivery on the day of your arrival, just let us know and we will put it all away for you. Should you wish to bring your own boat please contact us before booking. There is no mooring available directly opposite the house for guest boats.Please note Guests are requested not to smoke in Red Roofs please. “A warm and welcoming house. Very home from home. Has everything you need and more. Loved it, thanks. Or – from the A149 at Stalham, take the turning signposted to Sutton and Hickling and named Old Yarmouth Road. Follow the bend to the left and take the first right hand turn signposted Hickling and named Hickling Road. Turn right at the T junction (the road remains called Hickling Road). Follow the sharp left hand bend and through open countryside for approx 2 miles until you come to the staggered cross roads in the village. Turn left and immediately right into Staithe Road. Follow this road for about half a mile going past Pleasureboat Inn which will be on your right, then past Whispering Reed boatyard. Continue about another quarter mile and turn right into Hill Common. Red Roofs is 5th property along. Some of the lovely comments from our guestbook. This house has been pleasing guests and their dogs for many years so here is just a selection! Year 7, visit no 12. What more to say! Second stay here and booked for next year before we've even left!! The house, garden and location are gorgeous. A true home from home. Everything needed for a relaxing, beach, walking holiday and it couldn't have been better. Thank you so much, see you next year!! We had a lovely, relaxing and comfortable stay - we're not ready to go back home. Beds are great, view amazing, garden fantastic. There's so much more to do and see and we've hardly scratched the surface. I think we will be back! Another lovely stay, our fifth I think, and we will be back if you will have us (we will!). Warm and comfortable, well equipped cottage, thank you. Happy to see the boat was in the water and used that too. 4 adults, 5 kids and 2 dogs - great location for our needs. Very warm and comfortable cottage which has been an ideal base for us to walk, cycle and have fun. Boat available was a highlight. Fantastic garden which the children have enjoyed very much. Sarah and Ian and 8 dogs! We have had the best weekend, relaxed, warm and home from home. Just the break we all needed!! The dogs were happy and secure and the children loved it! We don't want to go home!! Thank you so much. Catered for all our needs and we especially enjoyed the log fire and large garden for the dogs to play in. We enjoyed beach walks here and will definitely recommend to all of our friends and family, thank you! Thank Jane and your team! As usual we’ve had a wonderful week at Red Roofs – its home from home for us. Every type of sailing dinghy at Whispering Reeds has been used as well as everything else, including the rowing boat! A superb holiday, thanks again. We had a lovely week. We were grateful to find somewhere prepared to take the 5 doggies that we own between the three families - and one that was safe for them, had a lovely big fenced garden for them to run round in, and accommodation that made it easy to keep them caged or under control & clean! The property is extremely comfortable and suited the needs of three couples and their animals very well. It is also well-equipped (actual sharp knife in drawer, dishwasher etc etc) and charmingly furnished, with nice modern bathrooms. There was plenty of storage space & it was good to have an open fire (though the house was very warm anyway). The Christmas decorations were a nice touch - and thank you for the cake! We didn’t have long enough to go on all the suggested walks or to explore the area thoroughly (lots of information and maps provided - thank you), though we all enjoyed Cromer - the pier, talking to fishermen, the wet fish shop in Garden Street...and easy car parking along the front. The beaches at Cromer, Winterton-on-Sea, Horsey and Happisburgh were lovely for walks, the churches are beautiful - especially at Ranworth. The Greyhound was ultra friendly and served pub food of enormous proportions. We liked especially The Nelson’s Head (near Horsey) and the Hill House at Happisburgh - where everyone was so friendly and chatty and dog-friendly. We will recommend it to our friends and hope to visit again.It was good value and a charming home from home. Back again and loved the place as much as we did the first time. Red Roofs is a wonderful home from home for all of us. Fab stay with our besties Ken, Vin and Roo, thank you. Lovely relaxing time, very comfortable house and fabulous location. Thanks for the wonderful welcome pack. How lovely to arrive to find out shopping unpacked, tea and cake to refresh us and beds made up. Thank you. Red Roofs is roomy and comfortable and practical, The power shower in the bathroom was wonderful. The garden is wonderful for the dogs to run around in unsupervised. The children made good use of the rowing boat despite the weather. Great walking on the beaches but do check the tides. We ate very well at the Swan Inn at Ingham. Once again we have had a lovely week at Red Roofs. Thank you for the lovely welcome pack. The cake was delicious and the dogs loved the biscuits. We bought more to take home. We hired a boat and went up the River Ant, very pretty, I'm sure we will return soon. Visit number 8 - for its location, aspect and comfortable 'home from home' atmosphere! Red Roofs always draws us back! Had a fantastic holiday in Red Roofs. Weather was perfect. Thank you for our lovely welcome pack, the cake was delicious and the dogs loved the biscuits and the dogs loved the garden too. We hired a boat and took the dogs on the Broads, they loved it on there. I'm sure we will be back again. Red Roofs is a haven of tranquility in beautiful surroundings. Thank you - we had a brilliant time. Horsey beach has an amazing seal colony. Very much worth a visit, its awesome. (No charge except for parking). Dog walks along the local coastline. Recommended: Lord Nelson, Horsey: White Horse, Neatishead (own brewery). Loved being here and fire at night. Brilliant, Thank you for the wonderful welcome pack. Much appreciated. Lovely flowers and delicious cake. Such a warm and cosy house, relaxing and comfortable. Loved the lounge and fire. Didn't do much - just chilled, read books and drank wine. PERFECT. Thank you. Loved the cake! Lots of dogs, 2 humans and parents joined us for 2 nights. Fantastic house and location. All had a great time. Really hope to come again, thank you. Lovely location and well stocked kitchen. Lovely and warm and plentiful wood for the fire. Nice walk to both nearby pubs for food, Had a great time. 4 dogs, 4 humans - Awesome break with awesome friends. Thank you for such a beautiful house. Excellent New Year Holiday. Fab for all the dogs and 8 people - loved it. Thank you. Beautiful house, great location. Saw seals - wonderful. Lovely relaxing holiday. Loads of room for all dogs - they loved it too and loved chasing rabbits. Will be back. A lovely area and lovely relaxed house, where Bailey, who is muzzled at all times outside, could be chilled in the garden. Walks were good and we all enjoyed a really chilled holiday. With a very difficult dog to manage, it gave my aunt and uncle a real rest as Bailey was so relaxed lying in the garden. Fabulous holiday and really enjoyed our stay here. Lovely break from reality, we loved the homey nature of the house and were able to be relaxed with the dogs. Wonderful to find a holiday where having dogs doesnt make you feel anti-social. Enjoyed curling up in front of the fire with jigsaw and books. This house is good for the soul - Thank you for the welcome pack. We hunted down the lady for more beetroot chutney so we could take some home. Such a restful, peaceful and beautiful home, albeit for a week. I was worried about our dog who is very reactive - scared of dogs, humans, carrier bags - you name it! We went some walks with her and it was lovely to see her as relaxed as we were. We will be back. Great neighbour too who Bella loved to try to tell off - sorry! PS Slept like a log - feel ready to take on the world again. We all had a great holiday, loved the house. Very dog friendly. They loved playing in the garden – lots of lovely walks on the beach – Sea Palling and Horsey Gap are good. Food and beer at the Nelsons Head - we had lovely weather – all warm bright sunshine and no rain!! We had a great time returning to Red Roofs after 7 years. Dogs thoroughly enjoyed their stay and the row boat was well used. We had some lovely strolls down the lane. All topped off by a blissful boat trip. Very nice!! Wonderful weather, sailing, punting, exploring in the John Dee. Lots of dog walking and eating outside. Barbeque was used a lot! A great family get together. Thanks Jane. Thank you for the welcome pack. We had a lovely holiday, despite the rain! Hired 'Bittern' from Whispering Reeds Boatyard for the day which was great. The kids loved it. Sea Palling beach good for the children and dogs plus the Sunday carvery there was very good value. Nice comfortable stay. Thank you. Lovely holiday. Grounds were fantastic, dogs and children loved it. Weather was hit and miss at beginning but turned very warm middle of the week. We would love to come back next year. The dogs enjoyed the garden and the beds were very comfy. Lovely holiday had by all. What a beautiful stay. Garden was amazing and well enjoyed by both 2 legged and 4 legged. Will be back! A fantastic time had by all. Weather great, wonderful walks. House and grounds couldn't have been better – will definitely be back. Our second very enjoyable visit. Good weather and lots of enjoyable places to go to with the dogs – especially the beaches at Sea Palling and Winterton. A lovely week. House and grounds super. Would love to come back. Both dogs loved the garden. Our first visit and hopefully not our last. 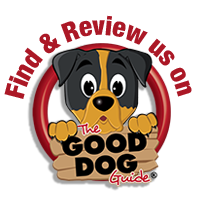 Lovely accommodation – so good to relax in 'proper' dog friendly premises. Loved the area – the views are stunning – the proximity to some lovely walks and to some good towns, pubs and restaurants. A very relaxing week – 'just what the doctor ordered'. We will be back! Our second visit and sure it wont be the last. As super as the last time, great walks, relaxing and home from home. Enjoyed the boating and eating at The Greyhound. Fish and chips still good at the Pleasureboat. Cromer crab rocks!! Paula, Jean, Di, Chloe, Ken and James. Visit #6. Lucky with the weather! Great sailing from Whispering Reeds, fab walks on Winterton Beach, dog friendly electric cruiser from Phoenix at Potter Heigham. House still very comfortable (and quiet) and cosy. Roll on September! Location, location etc.. Warm comfy house with all we needed. Welcome pack enjoyed by all. Bracing walks at Winterton and Waxham followed by cosy fires when we got back suited all! Thanks for the flowers. What a great place, Just amazing! The best place to eat is the Swan, Ingham (10 minutes away). Had the best time here, walks are great and our 7 dogs loved it. So did we! We are coming back! Lovely house, beautiful view of the water and boathouse. Welcome goodies very acceptable also the flowers. The Star at Lessingham served really good food. Waterside café/restaurant at Rollesby is worth a visit. A warm and welcoming house. Very home from home. Has everything you need and more. Loved it, thanks. Great weather, dogs loved the gardens. Very relaxing time. Hope to come back some day soon. Nice butchers in Causeway. Can't just keep writing how wonderful everything was, this is visit No.5 and it's getting repetitive! See April. What a great holiday with the dogs. Back garden brilliant. Try Sea palling as well. Absolute bliss! Thank you so much. Lovely comfy, homely house - immediately felt very at home. Have enjoyed BBQ and games in garden and using rowing boat. Visited both local pubs - Greyhound better on balance - pretty garden and better food. Lovely day on the beach at Horsey - swimming with seals, Happisburgh lighthouse worth a visit - open on selected days. Sorry to be leaving! We had a lovely, relaxing time which was helped by coming during the summer heatwave. Beautiful house; time on the Broads and at the quaint and not too crowded Sea Palling. Shops galore in Stalham (15 mins away) including Tesco and Mace (at garage) providing all we might need. Highly recommended! We loved it - hot weather, brilliant house and location. Definately be back! Wonderful cottage in fabulous surroundings. Pity we didn't have terrific weather though (not your fault). Walked the dogs from Horsey to Sea Paling along the beach. Also went to Bacton Woods - safe off lead walking and also wheelchair friendly. Our first time here but hopefully not our last. Loved the cottage, the area, the beaches and the little boat. A great time was had by all!!! Our 6th time here, yet another lovely week. Has always been a nice cottage, but recent improvements have made it even better! Perfect for lots of lively dogs. Our first stay at Red Roofs and we will definately be returning. Beautiful house and location. Garden is perfect and the 10 dogs, house is well equipped and the welcome pack is a great gesture. We will be back next year ..... just hope you aren't fully booked! 2 sightings of Swallowtails in garden. Thank you for the welcome pack, dogs loved the biscuits so much we bought some to take home! Relaxed, happy but sad to be leaving, I am sure we will return soon. Red Roofs is still "home from home" - in fact more so since the recent facelift. The new bathroom is fab, especially the electric shower. The beds continue to be so comfortable (don't know how I get out of it in the morning!) Loved the gardens, nicely maintained but with a natural feel. Roll on visit #5. Wonderfull, clean, comfortable home. Very well equipped. Lovely friendy neighbours. We've had a fantastic holiday and will definately be coming back. Rosie (our dog) loved the garden and her biscuits, thank you. I really enjoyed feding the ducks every day. Bob, Mildred, Bill, Gill and Ben the ducks. I like the area. I like the house very much. It was fun looking at the really old house what has been made of straw and wood. What a wonderful week. Thank you so much. The goodies were greatly received and Archie sends a big kiss, he enjoyed his bics sooo much, so we popped down the road to get some more. We have been on the beach by 8am every morning. Great watching the seals. Lovely location here. Lots of wildlife, just great. Thank you Sue, the cleaner and the owner for making our holiday very special. Lovely to find such a dog friendly house. Truly Local in Stalham good for local food. Food market in Methodist here 1st Thursday of the month, well worth a visit. We had the most perfect week here! The best equipped holiday home we've stayed in. Peaceful, comfy and great welcome pack. Fabulous nearby walks. Just what we needed. We will be back. Lovely home from home, fantastic holiday, great house, terrific friends, we all had a super time. Great wildlife, walks and doggie biscuits. Our owners ready for a rest, hope to come back soon. We all had a lovely relaxing break, the house and setting is wonderful, a home away from home. We visited all the beaches and loved seeing the seals, we are now checking our diary for a return visit early next year. Thank you for a wonderful break. A house filled with love and happy memories and a lovely place to spend your birthday. Sea Palling and Winterton on Sea fab beaches. Thursford Christmas Show wonderful (but not dog friendly). Great holiday - thank you for letting us share your wonderful house. I do not know enough superlatives to describe our week here. Just so relaxed and comfy and wonderful. The bed was so comfy and the views fab. Sea Palling beach amazing and Winterton on Sea in the sun and wind awe inspiring. A truly fabulous week. Bayley our dog loved it and the biscuits, thank you. The bed in the upstairs room is so comfy and the fire is so warm. Came here to escape the mayhem that is Leicester during Diwali/Bonfire week as a couple of our dogs get extremely stressed. One of my better ideas, loved everything, the peace and quiet, the house, although I kept getting lost in it, so spacious and homely. The huge garden was brilliant for the dogs who did mad zooms round and round. Beccles fab, Winterton on Sea our favourite, saw loads of seals on a beautiful sunny day. Sea Palling a close second. Blicking Hall park well worth a visit, a walk round the lake then coffee and cake. It has it's own pub. The welcome pack was lovely. Don't want to go home, loved it, thank you. Home from home, very comfy. Looking forward to year 6. Lovely relaxing week, dogs loved huge garden. Welcome pack was much appreciated, thanks. To end the week nicely, on Saturday morning a Muntjac deer was in front garden munching away oblivious to many pairs of eyes watching him. Very comfortable and spacious. Dogs loved the garden and walking along the lane. Waxham beach is a favourite with the dogs and humans. Another great holiday at Red Roofs. Weather great. Recommend going to Horsey to see the seals. Also for takeaway delivery the Cinnamon very good. Great time had by all, kids, dogs et al. The garden's brilliant, the place is lovely, had a great time on the broad, some fantastic beaches close by, would like to come again, first time in Norfolk, hope it's not the last. Comfortable, homely and lovely atmosphere in which to relax. A fantastic location, the children loved going on the boat and fishing. The dogs had a holiday too! Please don't get the internet!!! (see below) Thank you for a super time! Wish it was 2 weeks. Our dogs had an immense time, they ran around the garden at all hours. Loved having games of cricket in the garden. Lovely weather, lovely house. Great day crabbing on Cromer Pier, use a net, bag for great results. Yet another enjoyable holiday together. Lovely weather. Another wonderful holiday at Red Roofs. The beds are so comfy, the setting is perfect and the dogs adored the very spacious garden. Oh how time flies when you are having fun. A full week, been here, there and everywhere. Doggies loving every minute and exhausted. Lovely holiday and blessed with good weather. 3rd visit. Thank you for your kindness and thoughtful welcome pack. First time on the Broads and loved it. Another lovely "East Ruston Cottages" holiday. Beautifully kept garden and house and dogs loved the long runs in the garden. Karla, Mark, Zara, Tony, Chrissy and hounds Vinnie, Dylan, Dexter, Shylo and Reggie - May 2013. Still quirky, still comfy (especially the beds!). Thank goodness for open fire because it's still winter! This is visit No 2. Sea Palling great beach to walk dog. Lovely house and views are great. Thank you for Welcome Pack. Our 4 dogs really enjoyed such a lovely garden. House is very well equipped and house is beautiful. Hope to be back soon. Brilliant holiday. The holy grail of comfy beds and big enclosed garden. Thank you for the welcome pack, everyone has been so friendly, weather brilliant. Lovely week - great weather! We enjoyed the house and so did our three dogs. Great beach at Sea Palling for dogs, tea and doughnuts. Lovely walks and cafe at Winterton, also enjoyed Bacton Woods. Great fish and chips at Stalham. Welcome pack greatly appreciated and flowers, thank you. Had a great time, well situated for amenities, everything available for a homely stay. Would love to come back next year. Had a lovely week. Red Roofs very cosy and well equipped. Ideal for a quiet break with dog. Garden well used, think Penita thought she was back on the race track, did regular laps of garden. Even got chance for BBQ, would be good if people were considerate enough to clean it after use??? We have had a very nice time, very relaxing. Central for everywhere, would love to come back, thank you. Oh my goodness, we all loved it and we had a fabulous time, thank you so much for all you did for us. Despite the weather we were lovely and toasty and warm and simply enjoyed the surroundings. The recommendations for the Thai restaurant were also amazing - thank you!! We certainly hope to be back (received by e-mail). Had a lovely break yet again at Red Roofs. The beds are to die for, so warm and cosy. The roaring fire such bliss! Doggies loved garden and spent as much time out there as weather allowed. June here we come (again). Not even the cold icy winds could detract from the lovely holiday in a house that catered for our every need, especially the dogs. Looking forward to another wonderful and warmer spell in June, the Welcome Pack did exactly what it was meant to do - thank you. Wonderful house. Had a fab weekend! Back again and much sooner than expected. A peaceful place for 5 to recuperate and for us all to welcome in the new year. Spent days at Waxham beach and evenings by the fire; our favourite place to stay. Thank you so much, see you in November. Lovely home, very well equipped. Had a great Christmas. What an idyllic location, can't wait until we come here next summer. A short stay but a full one, dogs loved Bacton Woods, Winterton-on-Sea beach (we saw two seals playing in the sea), Wells-Next-the-Sea is well worth the 1 hour drive. The garden was loved by all. We had a roaring fire every night enjoyed by two very worn out dogs and their owners. Lovely quiet location, house very welcoming. Thank you. Perfect house for the 5 of us. We thought the dog biscuits and endless wood and coal were such a treat and appreciated the welcome pack. Garden adored by Molly as were the (lead) walks along the lane. Have booked for next year as the ground floor rooms and walk in shower are ideal for my grandma. Thank you for a truly warm and doggy friendly place. Recommend Truly Local for great beer, good policy and more dog biscuits! Wonderful 2 days (wish it were more) Delightfully warm and comfortable. We've had a great time despite mist, rain etc. Dogs had a wonderful time in your garden and Horsey beach. Looking forward to another relaxing visit. Thank you for the delicious welcome pack and flowers. We enjoyed a most relaxing holiday at Red Roofs. The house is very comfortable with everything you would need and the garden is magnificent with every square inch explored by our Giant Schnauzer. I would particularly recommend the beach at Sea Palling which is perfect for dog walking. The café also has the best doughnuts we have ever tasted. Thank you once again for a magnificent holiday. Christine and Philip, October 2012. Have stayed in many Norfolk cottages but this one by far the best equipped. The house is very spacious and homely. Humans and dogs have had a fantastic time. Thank you so much. Very good value for money, will recommend it to all. Perfect location to explore area from. So many places to visit, all so dog friendly. Both local pubs are great – very dog friendly also and with good beers and food. Can recommend Bacton Woods, Felbrigg Park, Sheringham Park, Sea Palling beach. Our second visit, had another great week. Garden great for the dogs, no worries about them escaping. Sea Palling beach fantastic and great weather made it even better. Love the area, love the house. We’ll definitely be back. Sheila and Tony with Lola and Ellie, September 2012. Fantastic week, only got wet once! Great dog walks to Horsey Gap to see the seals and the beach at Wells needs exploring. The Greyhound and Pleasure Boat pubs were both very dog friendly with good food. Will definitely return. Joyce and family, September 2012. Our fifth year running and the loveliest yet. We had wonderful weather and made the most of it. Hickling Nature Reserve was a huge hit with the kids. Trying to count the lizards basking in the sun on the broad wall was impossible. Such a lot of fun. The perfect holiday house. Excellent location, very peaceful. House well equipped and suited our family's requirements well. Dennis loved the huge garden. The rowing boat was enjoyed. Liked - Sea Palling beach, Bacton Woods, Felbrigg Hall, Blickling Estate. Enjoyed the welcome pack provided. Thank you. Location of cottage is great, garden too and have had a comfortable stay. Recommend: Waxham beach and the Swan Pub at Ingham - the food is delicious and the service is friendly. House. Comfortable, homely, well equipped, peaceful. Garden at the back of house very secure, even for small dogs. Very enjoyable. Swan Inn, Ingham. If you want a really special meal this is excellent! Best fillet of beef I have ever had!! Just superb. Good service, pleasant surroundings. Need to book a table, especially at weekends. Enjoyed. Horsey windpump. Interesting, worth a visit. Felbrigg Hall NT Lovely walled garden and house. Waxham Beach. Watching seals early morning. Sheringham Park woods. Nice walking environment for dogs and people. Great location, good for dogs, the enclosed garden a bonus. The little boat is a great added extra. Our 9 year old had a great time. Sea Palling beach great for kids and dogs. We also tried Happisburgh which is quieter. We found the Pleasure Boat best for food and welcome. The Truly Local shop in Stalham is well worth a visit too. We had a great time in the little row boat and overall had a really enjoyable break. Beautiful house and gardens, we all loved it. Very dog friendly, weather great all week. Lovely views and very relaxing week had by all of us. Many thanks to Jane and Sue. Wonderful location with superb view of the Broads. The garden is a real bonus - which the dogs thoroughly enjoyed. Definitely escape-proof as our TT can find a way out of almost anywhere. Beautiful house; cosy and comfortable. Dog proof garden a god-send. Wonderful views, beautiful weather was icing on cake. Lovely, comfortable house with everything you need. Great location. Horsey Beach fab!! Welcome pack enjoyed by ALL. Jay, Barn owl spotted, cuckoo heard but not seen. A quiet, peaceful location with lots to see and do. Lily liked the swings. Lovely time, warm (loved the fire!) Humphrey (dog) loved the garden. Thank you for a lovely holiday. Cottage is very warm and comfortable. Kids enjoyed the garden and the pond dipping at Norfolk Woodland Trust. We visited Sea Palling, Winterton, Bacton Woods and Holkham Beach. Very friendly at Pleasure Boat Inn, lovely food (50p for a game of pool too!) Plenty of space for kids and dogs to run around. Will be staying again, thank you. We've had a lovely relaxing week in this fantastic house. Waxham Beach was great for the dog. Hope to be back next year. Had a lovely time apart from the weather. Thank you for the brownies and welcome pack. Great pubs and area is fab. The Westies love the garden. Second visit in 5 weeks. We love it here - the boys love Sea Palling beach. Very lucky with the weather. Enjoyed the welcome pack. See you again. Very relaxing and homely. The brownies were gorgeous and the property was clean and tidy. We loved our holiday - what a lovely location. Very homely and restful weekend. Great week, weather fantastic, boys loved the garden. We have had a wonderful holiday, wonderful holiday and the dogs loved the freedom of the garden with the new fencing. The large double bed is very comfortable and the house very warm and cosy with the big fire. Hope to see you next year. This is our third time with you. Absolutely wonderful time spent here. Wouldn't hesitate to book again! We had a wonderful stay in your beautiful cottage and certainly will be returning soon! An enjoyable week. Home from home watching the wildlife in the garden. Our dogs are trained to leave the wildlife alone. The Greyhound Inn was great. We have had a great week. Recommend Bewilderwood, Wroxham Barns, The Waterside, Bacton Woods and Waxham Beach. House was warm, lots of hot water and well equipped. Had a wonderful time! Beautiful cottage and garden, the dogs loved it. Visited Bacton Woods, Cromer and Great Yarmouth. Greyhound pub was lovely, very dog friendly - Andy ate the 24oz burger! Broads lovely on the boat. Thank you so much. Can't wait to come back again! We have had a lovely time here, great house and location. Kara particularly liked the Pleasure Boat pub (free chews) and it was also within walking distance for Norman (87!) He also recommends the fish and chips from Stalham.